You’re missing out on a lot if you’ve never been hiking through trails and forests. Hiking is one of the best ways to explore the UK as it’s brimming with breathtaking landscapes and forests that can only be reached by foot. And after a long walk, you can spend a night or two in a cosy cabin located near your hiking trails. You can start the hike from outside your Forest Holidays cabin, then follow a marked path, which ranges from one to three miles. You can also wander along one of the small paths and unmarked woodland trails that go through forests and meadows. If you’re looking for more excitement, you can try to go through the Trim Trail, which has eight activities along the way. Then you can head back to your cabin for an energising meal to restore your energy. The Telegraph lists Forest Holidays Blackwood Forest as one of the best places for a woodland escape where you can bring your kids. The trails in Sherwood Forest are wonderful no matter what the season as it has all-weather paths and gentle hills that will take your breath away. There are easy short walks that are less than four miles long, as well as popular longer walks. 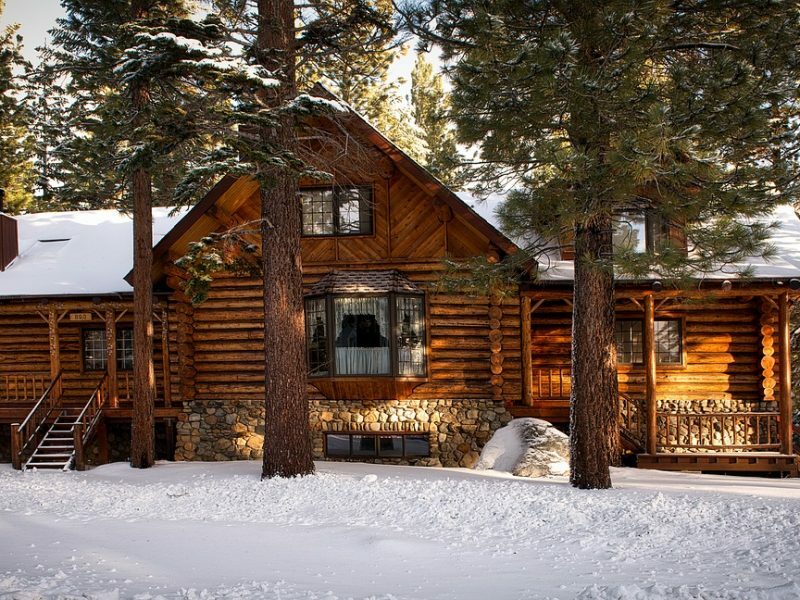 If you need a breather, check out Nottingham Lodge, which has a huge group-friendly 11-bedroom luxury cabin. Needless to say, this trip is best enjoyed with your friends. There’s a huge dining area at the cabin where you can have a BBQ and hang out. If you want to hike, swim across rivers, and go canoeing, you can visit Symonds Yat Rock. It’s in the Upper Wye Gorge and offers magnificent views of the River Wye. From this viewpoint you can see Peregrine Falcons nesting from April to August. If you go down the riverbanks you will see beautiful Holly Blue butterflies and Hummingbird Hawk Moths. After a full day of activities, you can rest at Symonds Yat Rock Lodge, which has self-catering cabins and a relaxing open plan design. The trails in Cuckmere Valley feature sweeping views of rivers and secluded farmlands, perfect if you want some quiet time to reflect while being surrounded by water meadows and singing birds and insects. The hike will take you through Frog Firle Farm, to Seaford and Bo Peep Hill on the South Downs way. You will finish at a viewpoint at High and Over, just above the White Horse. After your hike, go to Jackson’s Cabin. The Guardian recommends Jackson’s Cabin for anyone who wants to escape from the stress of work, with its large one-bedroom cabin with a wood-burning stove, timber-clad bathroom, and original artwork on the walls—it’s the best place to rest after a long day. If you don’t have the time to leave the city for a quick forest escape or while you’re waiting for your next adventure, you can retreat to the comfort of your own garden instead. You can replicate the log cabins from your last hike easier than you might think. Your very own cabin can also be a simple way to add an extra room in your home. You can choose between a one-bedroom or a two-bedroom cabin so you no longer have to worry about where your guests will stay. You can also use the cabin as a garden feature to entertain friends. Just set it up near your fire pit and surround it with some benches and chairs. There are plenty of designs, sizes, and styles available and you can choose one depending on the space available and what you’re going to use it for. There are also cabins that even come with a veranda. Why wait for the next holiday if you can have one in your garden?